We will take you to sightseeing. First I will take you to the oldest temple in Ayutthaya period and take lots of pictures. Then, you have local noodles of Ayutthaya at floating market. For the last, I will take you to see the most beautiful temple. Go to Wat Yai Chaimongkol temple. It was built by King U-thong back in 1357 A.D.
Then we will visit Wat Mahathat where you will see giant head of Buddha that more than 100 years ago. 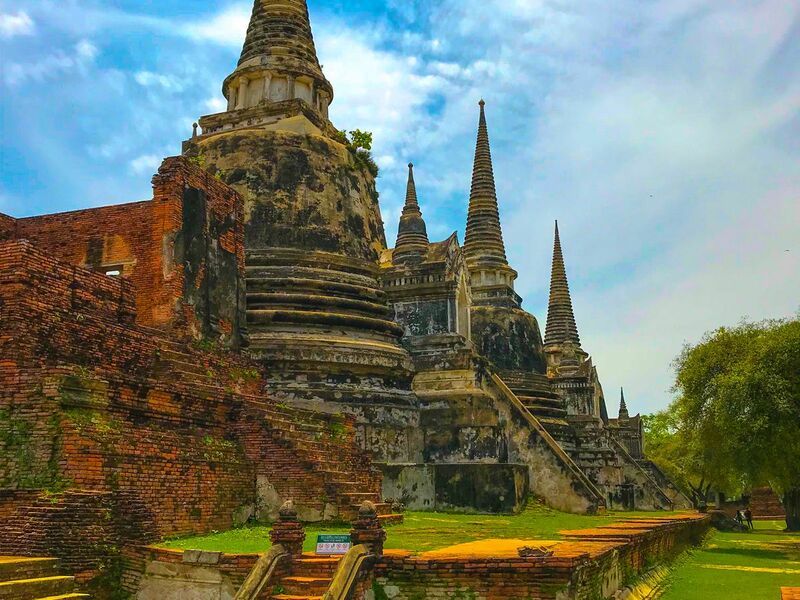 Visit Wat Phra Si Sanphet and the most beautiful temple "Wat Chai Watthanaram"
I'll let you know the long history of Ayuthaya and take a photo of old temple and old pagoda only can see in Thailand, then take a look around at floating market. Enjoy tasting Thai dessert and food as well as see a local life style people. You will see a lot of beautiful temple was build in this province such as Wat Chai Watthanaram is the highlight of this trip Thai TV series usually filming this place.